HEC Montréal and its partners at the International Institute of Economic Diplomacy (IIED) signed a memorandum of agreement in Paris on January 22, officially confirming the collaboration between the IIED and the Organisation for Economic Co-operation and Development (OECD). The IIED was founded in 2017 at the initiative of the International Economic Forum of the Americas (IEFA) and HEC Montréal, in partnership with Sciences Po Paris. The addition of the OECD will inject new energy into the Institute by confirming its international dimension and scope, especially since two more partner universities recently joined the Institute: the University of California in San Diego and the University of Seoul. 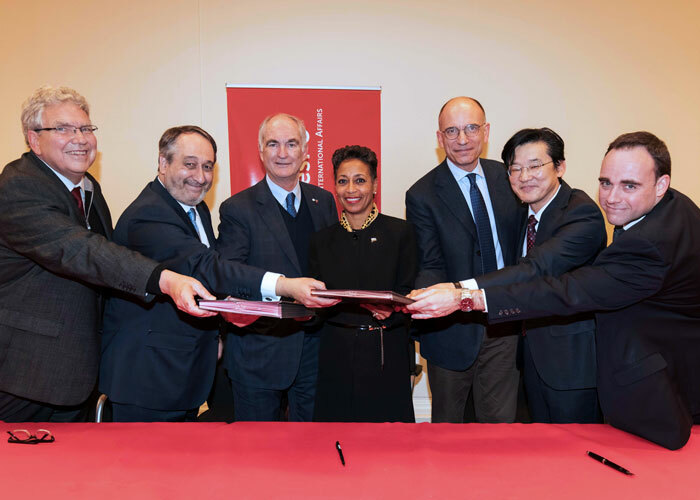 With this memorandum of agreement, the partners have committed themselves to having economic diplomacy recognized as a field of research, training and professional development. Nadine Girault, Quebec Minister of International Relations and La Francophonie, attended the signing ceremony and emphasized the importance of Quebec’s representation in the OECD, with the mandate of developing relations with the IIED. The Institute’s plans for joint action include university courses and programs for professionals, currently being prepared. HEC Montréal’s expertise in political economics and management will be applied for this purpose, to define the IIED’s educational offerings around the world and ensure that they are rolled out smoothly, in co-operation with the other partner universities. “Given the increasingly volatile global economic and commercial context, the Institute’s work will be in great demand and will help improve decision-making by international leaders. I am particularly proud of the major contribution by HEC Montréal, the only Canadian university in this project,” added HEC Montréal Director Michel Patry. The IIED also plans to position itself as an independent think tank, taking a central role in studying the evolution of economic diplomacy. On this point, the IEFA may be able to mobilize its vast worldwide network of public and private partners, so as to include the business community in this reflection, and contribute to the training available for professionals and executives within firms and organizations. The OECD and its 36 member states will bring unique expertise regarding multilateral diplomacy, and valuable support for this reflection on the challenges of globalization. The IIED also intends to identify best practices in economic diplomacy. Through its activities it will highlight or contribute to research on this topic, as well as remaining a forum for exchanging information, materials and publications. Peter F. Cowhey, Dean, School of Global Policy and Strategy, UC San Diego; Michel Patry, Director of HEC Montréal; Gil Rémillard, Founding Chairman of the IEFA ; Nadine Girault, Quebec’s Minister of International Relations and La Francophonie; Enrico Letta, Dean, Paris School of International Affairs, Sciences Po; Jong-Ho Jeong, Dean, Graduate School of International Studies, Seoul National University; and Angel Alonso Arroba, Head of Management and Communications in the Office of the Secretary General of the OECD. 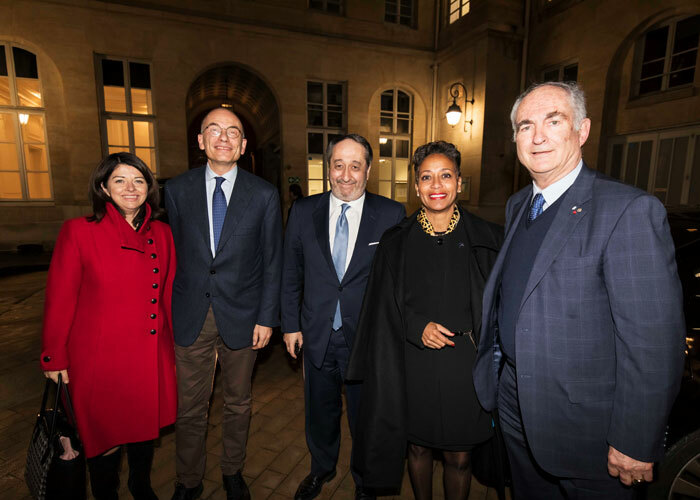 Line Beauchamp, Quebec’s Delegate General in Paris; Enrico Letta, Dean, Paris School of International Affairs, Sciences Po; Michel Patry, Director of HEC Montréal; Nadine Girault, Quebec’s Minister of International Relations and La Francophonie; and Gil Rémillard, Founding Chairman of the IEFA.